The new issue of InHealth features four great soup recipes from local chefs, perfect for a snow (or ice) day. 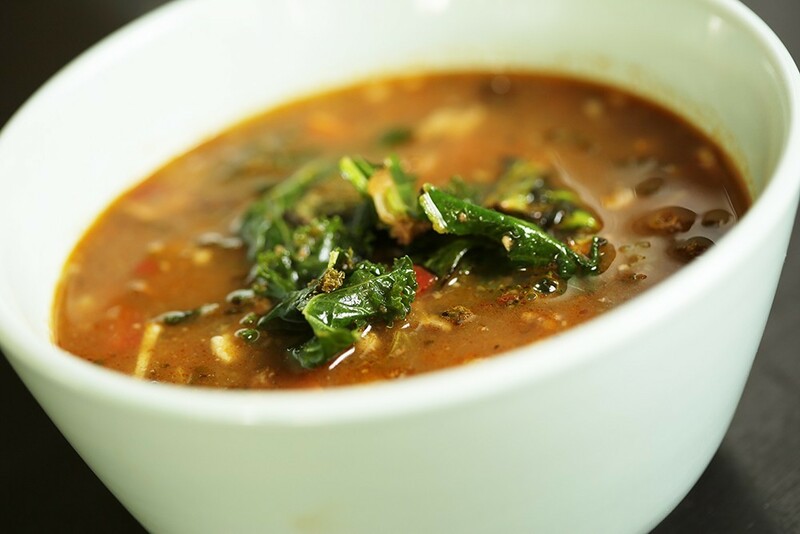 Try this Italian Wedding Soup from Clover. Soup is the new "it" food and the new issue of InHealth is brimming with recipes from local chefs to spark your creativity. Explore bone broth — it can cook all week in your slow cooker. Or a fragrant Ginger Carrot Curry using ingredients you probably have in your pantry. What about a one-pot lentil chili? Or learn the secrets of Clover's Italian Wedding Soup. Bonus? It's packed with healing veggies. We’ve got you covered with four great recipes from local chefs in our brand new issue, online and on stands now! Would you go to the ER if you thought you were having heart problems? If you have a high-deductible insurance plan, new research shows you might forgo a visit to avoid paying thousands of dollars out of pocket. InHealth covered the story of a local woman’s struggle with a high deductible insurance plan last year.